Starring Colin Farrell, Nicole Kidman, Barry Keoghan, Raffey Cassidy, Sunny Suljic, Bill Camp, and Alicia Silverstone. 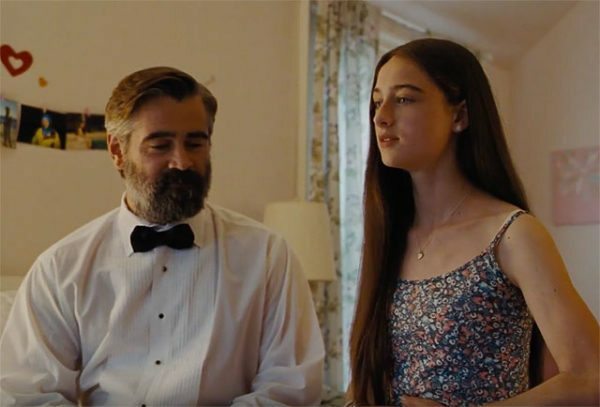 Hitchcockian horror and Greek tragedy emanate from beginning to end in The Killing of a Sacred Deer, the latest dementedly fucked up yet simultaneously darkly humorous film from Yorgos Lanthimos (2015’s The Lobster and Dogtooth). It’s clear from the get-go that the auteur isn’t concerned with characters that behave authentically or grounded realism, as certain key elements of the plot are intentionally not explained whatsoever. Any explanation would just be silly anyway and distract from the heavy psychological trauma burdening the idyllic, well-off family at the film’s center, so it’s for the best. Regardless, this is sure to frustrate some viewers (along with the glacial pacing), but anyone that can get on the same wavelength of The Killing of a Sacred Deer, appreciating motifs and a calamitous damned if you do damned if you don’t scenario, is going to come away rattled. No punches are pulled here, this is disturbing filmmaking at its finest, complete with deliberately slow and methodical pacing that wrenches maximum tension out of even the smallest moments. We’ve all seen children seek affection from their parents in movies before, hell, we’ve all probably done it ourselves, but not for the sinister reasons on hand here. Yorgos Lanthimos’ greatest strength as a writer (along with his frequent collaborator Efthymis Fillippou) and director is his ability to elicit laughter from distressing situations, and there are a handful of such scenes here permeating with suffocating dread. 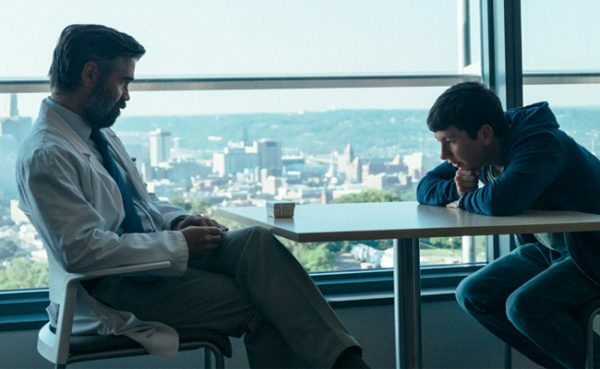 To say much about the story would be a crime by any critic, but I will say that it involves increasingly invasive and creepy behavior from a fatherless, lonely teenager named Martin (Barry Keoghan) onto Colin Farrell’s decorated surgeon Steven that has taken the sad sap under his wing. Martin’s dad died during heart surgery after a fatal car crash, so he naturally has a vested interest in getting into that profession. However, as Steven begins inviting Martin over for dinner with his family, things escalate into psychological head games before quickly growing very dark. Martin begins dating Steven’s daughter (Raffey Cassidy), trying to hook his widowed grieving mother (Alicia Silverstone in a memorable supporting role) up with Steven despite knowing he is happily married to his wife Anna (Nicole Kidman who also does great as a bewildered and concerned parent), all while ratcheting up his clinginess to the patriarch. Following blow-offs and distancing from the incorrectly wired young lad, the family’s youngest son falls ill to paralysis for inexplicable reasons. Suddenly, this becomes an ongoing plague epidemic for the close family. Truthfully, the film’s success all starts with the phenomenal acting, especially from young Barry Keoghan who strikes a balance between innocent sweetness and malicious intent. It’s easy to empathize with him and understand why Steven chooses to devote so much time to him, even if we’re quite sure that something isn’t quite right with his behavior and body language. As the script calls for him to become colder and more mischievous, Keoghan is able to unsettlingly play up the character’s darker qualities. Colin Farrell also has a great showing, eliciting intensifying anxiety for the state of his family along with mounting desperation for a solution. 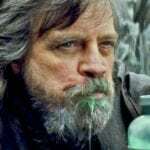 Furthermore, since much of what to do to end the plague falls on his shoulders, he also gets some of the funniest scenes in the movie (the ending, in particular, is where both the disturbing and comedic elements finally meet in the middle to create something unforgettable). Viewers’ minds will also be twisted, unsure of what to think or believe. Is it all a sick prank gone too far? Will subsequent steps of the plague actually activate soon? Will it begin to affect other people? Is there a way out of this hell besides following orders from the deranged Martin? And then there is, of course, the greatest question of all, which is “why and how the hell am I laughing at this?”. All of this riveting suspense is gorgeously photographed (if the film is reminiscent of a modern-day Greek tragedy, it sure looks the part in style and appearance as well) by Lanthimos’ trusted cinematographer Thimios Bakatakis; early on the images eerily forecast paralysis with shots of characters often motionless, sometimes even lying down. Not to mention, glimpses of characters crawling around without the use of their legs (especially one sequence with a cigarette being lit) are genuinely terrifying, not necessarily so much for the context of the scene but rather the atmosphere the story and music have created. This is also a good time to reiterate that children singing will always be scary, no matter the circumstances, even if the child partakes in a choir and has an angelic voice. There are also numerous horror sound cues adding to be suspense, along with appropriate symphonic music opening and closing the flick. Again, that’s only that half of it, as with the full narrative in mind the story takes on new and different thematic meetings. I assure you, the choice to make the character of Steven a general saver of lives is intentional for reasons that become clear as the film unfolds. Then again, by the time The Killing of a Sacred Deer finishes, viewers will be breathing a deep sigh of relief that the tension-fueled experience has come to a close. 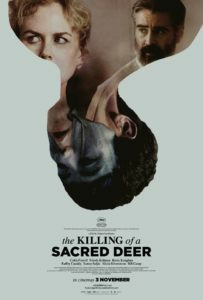 It certainly further proves Yorgos Lanthimos as one of the strangest but boldest filmmakers working today; everything he does is must-see, and so is The Killing of a Sacred Deer.